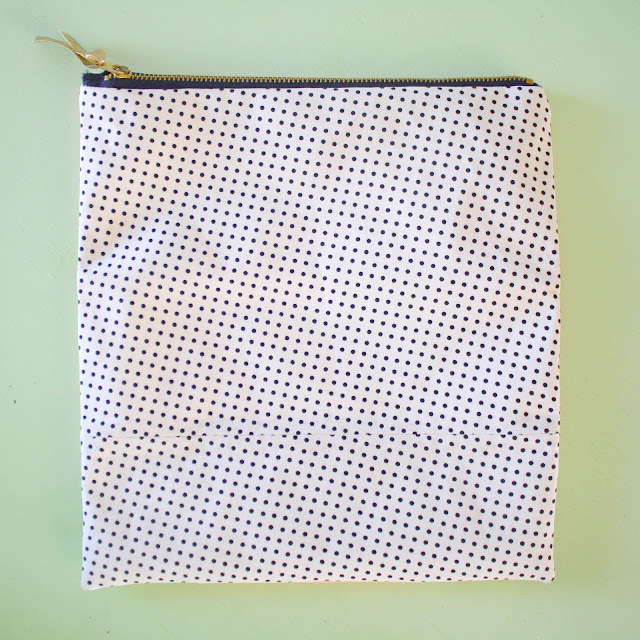 Have you seen these foldover clutches? I think they're super cute and thought it looked pretty simple so I gave it a shot! and did it while my hubby and I watched tv one evening. I modified the size a bit, added the gold corners and used different fabrics for each side. I got to use it on Monday at a birthday lunch for my friend Allyson! Just kidding, we all got like a full size portion out of that one slice!